With the lifting of Milk quotas early last year, here at Spectac International we have received a growing number of orders for all things dairy. We are known for designing and fabricating customised Stainless Steel products for some of Ireland most esteemed Dairies across Ireland and the United Kingdom including Dale Farm, Kerry Foods, Glanbia, Town of Monaghan and many others. To provide our customers with optimal satisfaction, at the outset of all projects we work closely with our customers to plan the entire schedule of works, agreeing key deadlines and contingencies. PLC controls and industrial automation of the dairy are also planned at an early stage. 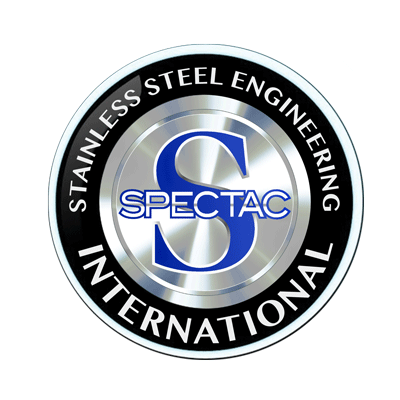 At Spectac International we understand the importance of drawings, all our designs are drawn using the latest, most up to date CAD software to develop and sign off drawings before we finalise the project plan. We are also able to document the mechanical and electrical requirements. 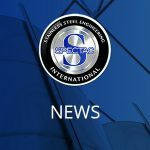 To meet deadlines we pride ourselves on our diligent work plan, preparing the facility for installation while fabrication of components is taking place. In the past Spectac International undertook the highly intricate job of developing Clean In Place (CIP) pipework for Dale Farm. Our CIP pipework allowed the washing of Dale Farm’s new alphamatic Cheese facility. The distance from the new CIP plant to the production area was 3,000 metres which in-turn meant that the flow and return lines were exceptionally long and had to go at high level through the powder storage facility. Spectac International carried this work out over a 4 month period and Dale farm were delighted with the results.